With great joy we congratulate you on your engagement and your desire to celebrate your marriage as a sacrament in the Catholic Church. We truly care about the day on which you say, “I Do” and helping that day become a beautiful celebration and reflection of the love you have for one another. We also care about helping you form a sure and strong foundation on which you will spend many a happy day together. The preparation involves many people who want you to have a beautiful wedding day and strong marriage that weathers life’s storms. ​May the Lord bless you, as we prepare for your special day and life together. Contact Fr. 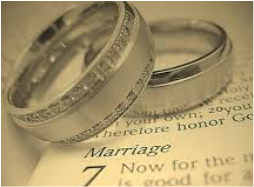 Tim Sheedy through our parish office: 624-2228 or email: sheedyt@diodav.org to learn more about celebrating your marriage as a Sacrament in the Catholic Church. We want to make sure your day reflects the love you have for one another; yet even more importantly, that it reflects the love God has for each of you and his plan for your life together. Click HERE for a Guide to Marriage Preparation at St. Mary. 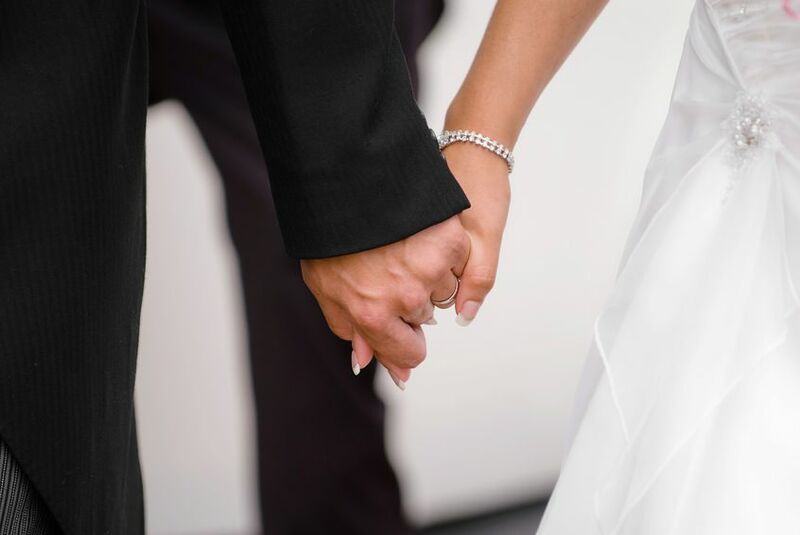 31 Catholic books on Marriage - that every couple can learn from. ​“Today, there are those who say that marriage is out of fashion. Is it out of fashion? "When Christ is desired for who he is, his Church's teachings aren't viewed with suspicion or seen as something to live up to. Rather, they're trusted as the standard never to fall below if one is seeking true love, true joy, true fulfillment."